Angry Birds VR: Isle of Pigs has been released on the HTC Vive and Oculus Rift. While the original press release stated the game would be “available on all major VR platforms,” the game is not currently on PlayStation VR. The developer, Resolution Games, confirmed on Twitter that the team is currently working on a PSVR version. Yes, we’re working on releasing the game for PSVR. Stay tuned! The game’s release came alongside the launch trailer, included above. 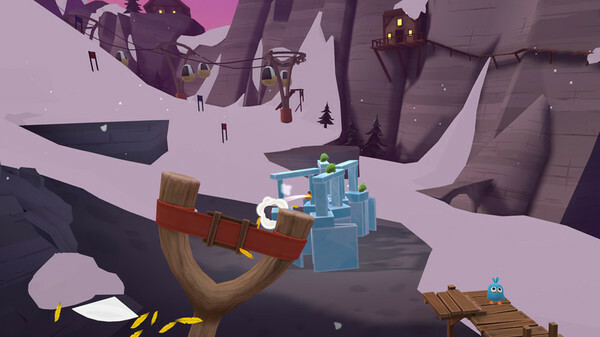 Rather than a left-to-right, 2D perspective, Angry Birds VR: Isle of Pigs puts things into a first-person view. Players hold the slingshot and set their sights on the tower in front of them. There are over 50 levels for players to crash through. Given the perspective of the game, I imagine this would require the PlayStation Move Controllers, but nothing has been confirmed yet. There’s no specific timeline for when the game will come to the PSVR, but Angry Birds VR: Isle of Pigs is currently available for the HTC Vive and Oculus Rift. For another upcoming port to PlayStation VR, be sure to check out Budget Cuts and Beat Saber, now that its Expert+ Mode has finally made its way over to the platform. Will you be picking up Angry Birds VR: Isle of Pigs when it arrives on the PlayStation VR, or are you all Angry Birds-ed out? Shoot your shot in the comments below.